Some years ago on a visit to The Cloisters I took this photo. I wish I had copied down more information at the time but it’s certainly made after the 12th century due to the use of yellow silver nitrate stain. However, the chimps are fairly accurately rendered so I suspect that it’s well after that. It looks as though they’re breaking down a table. Why I wonder? Is the party over? 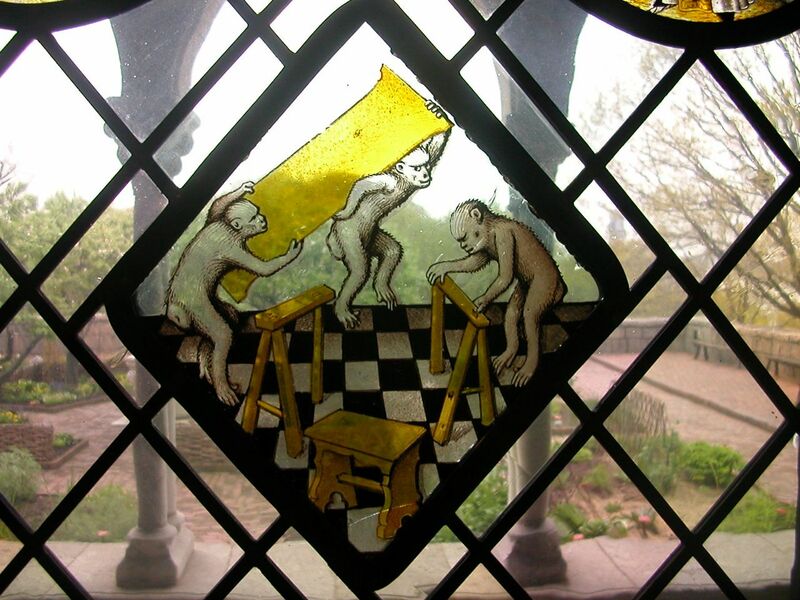 This entry was posted in inspiration and tagged chimpanzee, cloisters, stained glass. Bookmark the permalink.